When Water just won’t do! 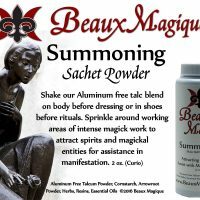 Dusting Powders have a unique place in the world of folk magic. 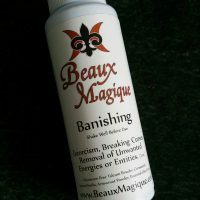 Where our Charged Waters can lift energies to enact change, these powders absorb them. 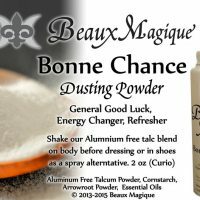 These Powders make a great alternative for those who don’t wish to use smoke, oils or sprays. 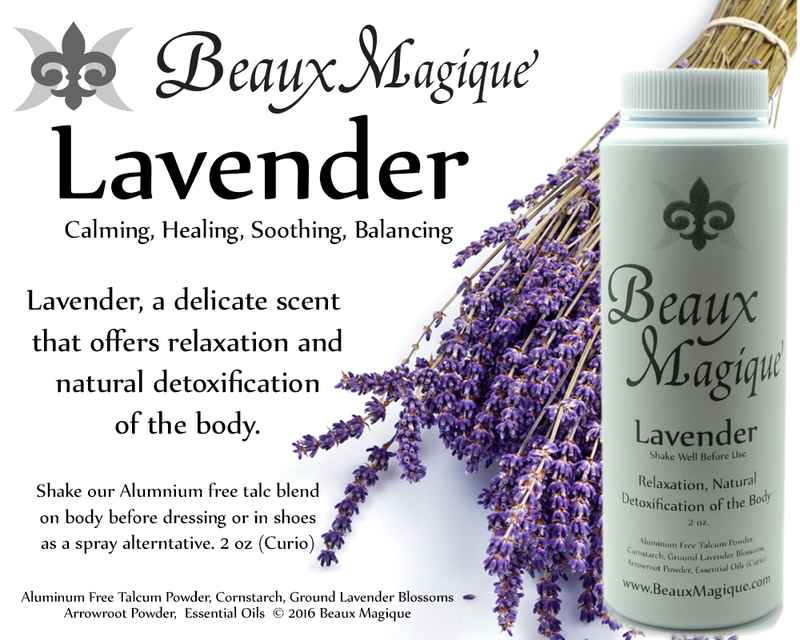 Made in small batches for the body or for surfaces and cured for over forty-eight hours to ensure effectiveness. 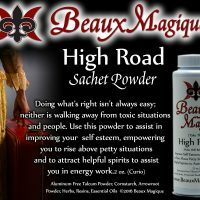 These potent blends contain a distinct blend of aluminum free talcum powder, cornstarch, arrowroot powder, oils and herbs (and or salts) to enact energetic change on any level. For the body, just shake into shoes before wearing or in the body before dressing. 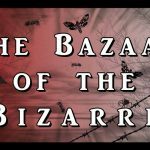 Be sure to sign up for the Beaux Magique spam free newsletter, find us on Facebook, Google Plus, Pinterest, Tumblr, or follow us on Twitter!